PXL THIS 20, the 20th annual toy camera film festival, featuring Pixelvision films made with the Fisher-Price PXL-2000 camcorder, screens Oct 15, 2011 in San Francisco, California. PXL THIS, the second oldest film festival in LA, celebrates visionary moving image artists from 4-years-olds to professionals. PXL THIS, featuring films made with the Fisher-Price PXL 2000 toy camcorder, is one of the longest running film festivals in the entertainment capital of the world. Celebrating "cinema povera" moving image art, it evokes Marcel Duchamp's axiom "Poor tools require better skills." Pixelators from across the globe hoick up inventive approaches to the unassuming throw-away of consumer culture. These low-tech hi-jinx films come through loud and clear by reframing a new cinema language. Past PXL THIS participants have included Lee Ranaldo (Sonic Youth), Chris Metzler (Fishbone & Salton Sea documentaries), James & Sadie Benning, Joe Gibbons, Cecilia Dougherty, Peggy Ahwesh, Jesse Drew, Margie Strosser and Michael Almereyda. BEACH DAY, LIGHT PLAY http://vimeo.com/17718439 - A dreams beach day is captured in high contrast, stuttered motion by the magic of a PXL2000. Abstractions are created through motion, reflections, hi-lights and shadow. The PXL images of beach activities to open up into an immense imaginary space. 4 year-old Gwyneth's AND THEY PLAYED & THEY PLAYED & THEY PLAYED http://vimeo.com/17694873 shares a stream of consciousness, that includes stories from the heart, songs about poop, ugly words and other joyous indiscretions. Award winning filmmaker Terri Sarris contributes two: DEAD MAN'S CLOTHES (Sarris & Frank Pahl - Oh, the stories second-hand things might tell...) and GLITCH. http://vimeo.com/user3842874 Every decade sees one PXL that really captures the inherent uniqueness of Pixelvision. For example, James Benning's TABLETOP in the very first PXL THIS, and Lisa's Marr's RUGRAT in 2004. Sarris astutely utilizes PXL's innate characteristics in GLITCH. Moving image artist extraordinaire David Sherman's PROJECTION/EJECTION shutters the ephemeral light in blinding the baseness of bodies in motion. Squeezebox tickler Nick Newlin's TWICE AS NICE feels the love. Newlin interprets Thelonius on the accordion in MONK. Robin Carter's intriguing PYTHAGORAS AS POET explores the birth of science, mathematics, and philosophy. When the Phoenician's brought their writing system to the Greeks, it started a revolution of mind. In the midst of this, Pythagoras emerged in 500BC as the first philosopher. Myth and magic were as much apart of his world as number and theory. Since time immemorial the archivist of cultural knowledge was the poet, and Pythagoras followed this tradition and divined the properties numbers and space from the gods. The alphabet changed the world forever, as it changed the minds of the ancient Greeks. As the alphabet anchored in culture after culture, the mind of humankind has been shaped in kind, but as digital technology usurped the power of reading, what does that mean for us? TROG ALLEY is another installment of Will Erokan's epic pxloitation compendium, Las Trampas, Joe recalls a highly transformative visionary experience, involving black magic, brotherhood symbolism & crystal meth. Venice Boardwalk performer Joe Nucci's SEE NOTE is the fourth episode in the captivating trilogy of hilarious limo driver recollections. Rex Butters' 7 DUDLEY conjures a montage of Sponto Gallery home movies filmed in words. Gerry Fialka's PARALLEL WORLDER doubles the single unified theory as Martha Graham and WC Fields dig duality dancing in mysterious metaphors of Beefheartian time & Vorticist space. PXL innovator Doug Ing provides BEST LAVA VIEW RIGHT HERE (Ing, his father and friends explore the aftermath of a recent volcano eruption on the island of Hawaii from the balcony of a house amidst the lava field). Clifford Novey's ROUNDS comprehensively circles illusive visual domains. Elric Kane's SLOW DRAW appropriates bad action films evoking something more intimate than mere on-screen carnage via Pixelvision. Former Second City Music Director and comedian Jonathan Menchin's HEY YOU IN THE FUTURE alerts wanna-bes not yet born. Denny Moynahan's KING KUKULELE KOGNITION joins Denny's live self and PXL-self as they ruminate on his 46th birthdays' inner thoughts. The PXL THIS 20 film festival screens December 13th at the (underrated) Unurban Cafe in Santa Monica (3301 Pico Blvd. ), and admission is FREE. The 6PM pre-show features a sneak preview of Wickstead's Wonder - an interview with James Wickstead, the inventor of the Fisher Price PXL 2000 camcorder! 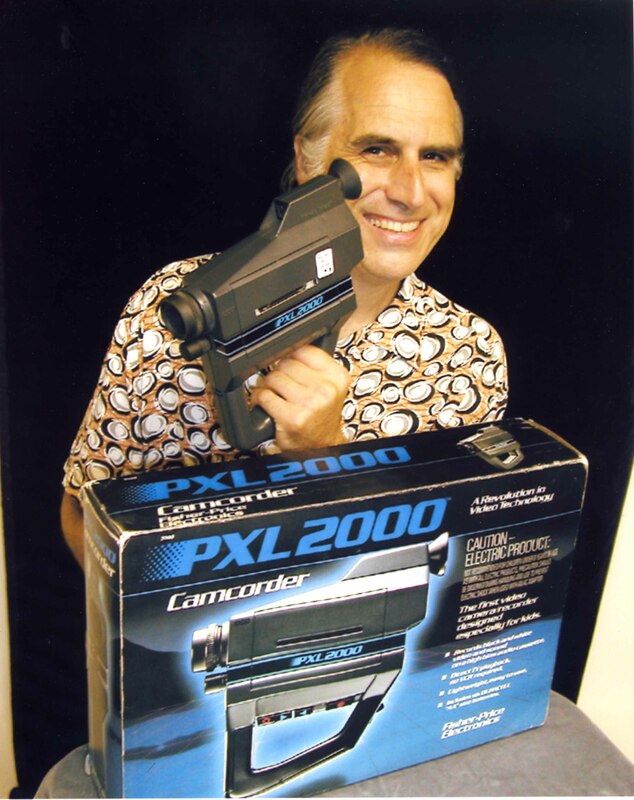 In October, PXL THIS 19 was held in San Francisco, and Wickstead introduced the first (and possibly only) PXL 2000 color camcorder. No word on if this will be part of the L.A. festivities, but perhaps there is a chance. HW-1• there's been a tremendous proliferation of inexpensive video cameras in the last few years, including the Flip: what makes the PXL 2000 camera remain remarkable? Can people still find these cameras? And is there any similar camera currently on the market? GF- McLuhan said, "if its works, it obsolete." PXL is remarkable because it does not work. It depends on what you mean by remarkable, one audience member said that with all the great new digital effects/equipment seems as though you could "fix" the picture...duchamp said that poorer tools require better skills...without even making a value judgement, i'd say that one can make moving image art BOTH with expensive or non expensive tools.. we are really about mcluhan's "we shape our tools, then they shape us," that's the meta-cognition hEAR. ***remarkable that PXL is a failed toy yet continued to be used as a creative tool (or as the la weekly said one year - a tool for creativity AND adolescent regression, whatta want from a kids toy? amy taubin said just pickin one up is breakin the rules, aren't artist tryin to evoke children's innocence, it continues to delight the visionary child in pixelators, so why not just start out with a kids toy, the balinese have no word for art, they do everything as well as they can...like the joke: kid comes of age when he realizes his dad goes to work, kid- dad what is your job? art teaching dad-i teach people how to draw, kid- you mean they forgot?). "Anything that's popular is a rear-view image" -McLuhan. We are not a popular festival. HW- 2• have there been any noticeable aesthetic shifts in the videos you've programmed for this year's festival as opposed to festivals in the past? GF- i don't really program, i show every entry, we celebrate a tool, we leave it to the audience and press to make aesthetic judgements, opinions..havin studied and developed my own personal aesthetics, yes there are shifts every year and the same ol'thing, but a rare gem comes thru, not worth stopping. but every year the audience reactions change...defining what you and me mean by aesthetic shifts and what the normal person on the street is different.. we welcome kids and homeless people and rich art kids and so on..
********MOST IMPORTANT= SEEING AND ATTENDING our festival LIVE is really what its ALL ABOUT.. the highly desired communal experience that expands cinema by combining performance art, poetry (thats what pxl really is poetry, outting your inner dialogue, your inner consciousness, poerty/pxl can communicate before its understood, both of these are applied "t s elliot"), music, dance with film has been featured for years at PXL THIS and a critic cannot experience it fully by seeing a video document of it in their lonely teenage room on a TV set (referring to King Kukulele's 10 years of combing his filmic self with his PXL-self). Then again, evoking Zappa, we are satirizing the tribe, rugged individualism and perpetutaing the myth. HW- 3• as video becomes more and more an everyday vernacular, what makes a video festival-worthy, in your opinion? GF- any and every gathering of people to discuss the effects of our inventions is worthy, even if its nano-community, we are fine with being called a "small " festival in the NY TIMES, and, at the same time, thriving for 20 years, and being shown in New Zealand, UK and across North America & US with fiery discussions always included. In pizza parlors and art museums. ***worthy to study the hidden effects of hybridizing a light through medium (TV, video) and a light on medium (film, stain glass) (seeing it in the movie theater setting, with a video projector)..
***a video festival enables people to be antenae of the race, thats what ezra pound called artists - "the antennae of the race" broadcasting the hidden effects of what we invent, so we can learn how to COPE with these effects. As James Joyce said to all us finnegans "WAKE," "wake up and learn and unlearn what video festivals, tv, pixelvision all do to you." Needle the somnabulist to cord-cut the cloud? HW- 4 • if you had to single out one or two of the most significant cultural shifts related to video in our culture, what would they be? GF- "Culture is our business" - McLuhan. The opportunity to actually read, study and discuss McLuhan, Joyce & Robert Dobbs via free events like http://www.venicewake.org/ and http://www.venicewake.org/Events/current.html Delving deep into McLuhan's translation of FINNEGANS WAKE by james joyce (he invented facebook and disguised it as a book). Dobbs' translation of them both transforms and reinvents percept plunder for the recent future. Video screenings are available in public meetings and online to uncover the hidden effects of video, and why we ignore he hidden effects. "The next medium - whatever it is - may be an extension of consciousness. It will include television as its content, not as its environment and will transform television into an art form." - McLuhan. Cedar Knolls N.J. inventor applying experience to new technology by Sally Silverman 11-2-10 The Daily Record HANOVER — James Wickstead is founder of James Wickstead Design Associates in Cedar Knolls, a company that specializes in product development for the medical, telecom, commercial and consumer markets. Founded in 1968, JWDA has generated more than 40 patents and product licenses on behalf of clients including AT&T, C.R. Bard, Becton Dickenson, Fisher Price, Parker Brothers, Siemans and many more. Most sought after products: "Anything new in technology like applications for software, global positioning systems and wireless applied to all products," Wickstead said. His best inventions: The Black & Decker vegetable steamer; a patient-controlled analgesia device; a device to measure the chemistry of animals by analyzing their blood called the Vettest; and the PXL-2000 camcorder for Fisher-Price. Worst invention: A device that uses high-energy plasma to cure arthritis. "We are asked to implement somebody else's idea. Whether it sells, is something else," Wickstead said. Inventor's traits: "Everybody is an inventor, but you need a massive amount of curiosity and look at things as to how they can be made better," Wickstead said. Beginnings: Wickstead was born in Pompton Plains in 1941 and grew up there. After high school, he attended Pratt Institute in Brooklyn, where he received a degree in industrial design. "While in high school, I didn't know this type of work existed," Wickstead said. "I was interested in building cars, but an uncle of mine who was a landscape architect suggested industrial design. Before that, I was considering mechanical engineering," he said. Career path: After working for several small companies in New York and Philadelphia, Wickstead was drafted to serve in the U.S. military in Vietnam. He was stationed at the Aberdeen (Md.) Proving Ground as a scientist for two years, where he worked on armor and battle tanks. "It was the think tank for the Army — they would give us a problem and want a solution in 30 days," he said. Following military service, Wickstead founded his company, fist in Maryland then in Glen Rock. "There were lots of design firms, but they couldn't make products or get them into the marketplace," Wickstead said. Back to Jersey: "I camped all over the United States to determine the best place to locate my company and came here in 1979," he said. At home: Wickstead lives in Mendham with his wife, Jean. He enjoys fly fishing, hiking and, as a car enthusiast, he still does all the mechanical work on his two "old" Ferraris. PXL THIS 21 - Entry deadline Oct 22, 2011 - simply send a dvd to Gerry Fialka 2427 1/2 Glyndon Ave, Venice, CA 90291, 310-306-7330, pfsuzy@aol.com NO entry fee. PXL THIS 20 (The 20th Annual Toy Camera Film Festival) featuring Pixelvision films made with the Fisher-Price PXL-2000 camcorder, were screened on May 19, 2011 (8:00 PM) at the Echo Park Film Center. PXL THIS 20 is one of LA'S oldest continuous film festivals. The PXL-2000 is a plastic toy video camera made by Fisher-Price in the 1980’s. With its focus aspherical lens and lower frame rate, it produces low-resolution pixelated black and white images reminiscent of the super 8 images favored by avant garde artists in the 70's. The PXL-2000 came into its own in the avant garde scene in the early 90's, after a grant by the Rockefeller Foundation was awarded to Sadie Benning for her early lesbian-identified Pixelvision videos shot on the PXL 2000. Sadie's father, the avant garde filmmaker James Benning, gave her the toy camera with which she became identified. The PXL-2000 has a history of use in overground films and music videos (Sonic Youth). Richard Linklater shot the performance art sequence in "Slacker" on the camera. Michael Almereyda used running POV scenes in his post modern Vampire movie "Nadja", shot a featurette "Another Girl Another Planet," his 1993 short "Aliens" on the unit. Ethan Hawke (Hamlet) shot a video diary on PXL as seen in Almereyda’s urban contempo "Hamlet." 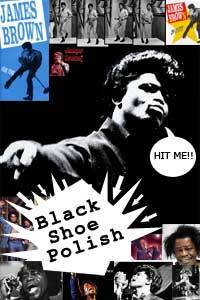 The event was presented by Gerry Fialka, Los Angeles' preeminent underground film curator. Fialka's famed DOCUMENTAL series (Unurban) and 7 DUDLEY CINEMA series, with their intimate salon ambiance, have presented an ambitious mix of current and historical avant garde classics and oddities, enriching the cinematic dialogue in LA for several decades. He organized interactive workshops for the Ann Arbor Film Festival, UCLA , MIT and many more. One of the last channels of inspired McLuhanesque convergence and synthesis, Fialka continues to embody the omniverous, questing curiosity and joyous subversiveness of the 60's cultural renaissance. Fialka launched the renowned Marshall McLuhan-Finnegans Wake Reading Club at the Venice Public Library 1995. Fialka, who worked for Filmex in it's glory years, was Frank Zappa's archivist. Fialka has interviewed many of LA's over and underground artists in his itinerant one-on-one interview series MESS (Media Ecology Soul Sessions). The very democratic PXL celebrates creativity from kids and moving image professionals, all discovering ways to exploit the camera's intense black and white (often artifact ridden) images. As Fialka explains, the uncurated fest celebrates "cinema povera" moving image art, evoking Marcel Duchamp's axiom "Poor tools require better skills." Past PXL THIS participants have included Lee Ranaldo (Sonic Youth), Chris Metzler (Fishbone & Salton Sea documentaries), James & Sadie Benning, Joe Gibbons, Cecilia Dougherty, Peggy Ahwesh, Jesse Drew, Margie Strosser and Michael Almereyda. SEE NOTE - Joe Nucci, 6m (The 4th episode in Nucci's trilogy/musician, limo-driver Nucci recounts jobs chauffeuring Kim Basinger, Smokey Robinson and James Ellroy. (Carter mourns the loss of direct experience. "The poet was the archive of the tribe", then came the alphabet and "The body and soul of the collective mind collapsed to abstract phonetic symbols for the single eye." Please join me for four (and maybe more) events in SF on Oct. Details follow. Please spread the word. 4- David Meltzer is an American poet and musician of the Beat Generation and San Francisco Renaissance. Lawrence Ferlinghetti has described him as "one of the greats of post-World-War-Two San Francisco poets and musicians. "[Meltzer's Beat Thing is his epic poem on the Beat generation. It was called by Jack Hirschman: "Meltzer's most important lyri-political work to date...written by a poet who, in terms of the rhythms and verbal inventiveness and the naming of figures of popular culture, is without equal anywhere." BUNUEL & BEEFHEART: B&B SOFTWARE - Music-Film-Poetry Fusioneer Gerry Fialka's last sigh is "I've gotta beef in my heart." Imagine the meta-mystery when the where's and how's of these two Dadas, Luis Bunuel and Captain Beefheart (Don Van Vliet) meet in this vibrANT interactive workshop with live recitations from Beefheart's lyrics and Bunuel's nonpareil autobiography My Last Sigh, and ultra-rare film clips. Study the evolution of environments shaped by their technologies (film, music, books, paintings) and the hidden effects. With special guests.